Project FI has a new temptation! 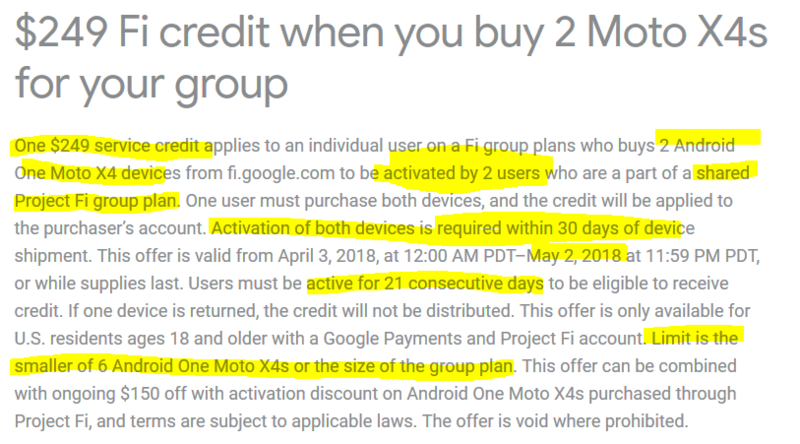 They are offering essentially a BOGO on the $249 Motorola Moto X4 Android One phone IF you buy and activate these two phones on two different users on the same Project FI group plan. The “BOGO” is via a service credit. 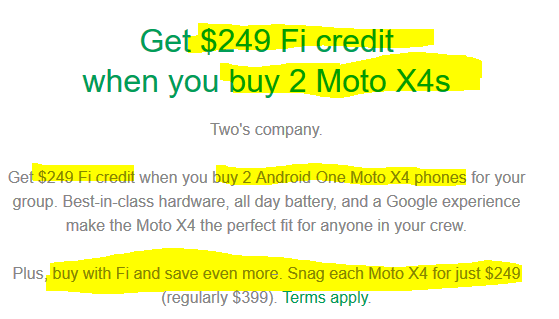 You will get a $249 Project FI service credit, while paying $249 for each of the two Moto X4 phones. Better yet, you can do this in multiples of 2, if you have more users/lines in your FI account.